Here's proof that you don't necessarily need thousands of dollars to build something unique with LEGO. 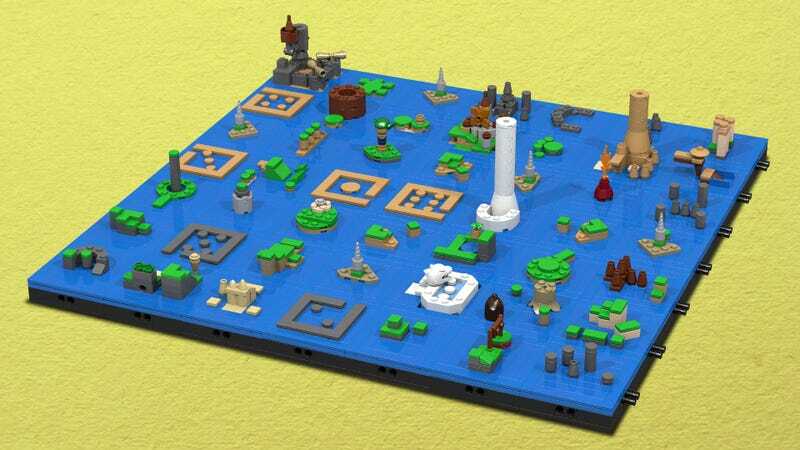 Although you might need a lot of blue blocks (and around 1,900 pieces total), the simplicity is perfect in BrucilSprout's microbuild of Wind Waker's sea chart. Even things like the cave on Outset Island (that tiny hole at the bottom in the first pic) are visible.